What Do The World’s Greatest Investors Think of These Hot Casino Stocks? Casino stocks are up big after Beijing’s top representative to Macau signaled that the central government is considering measures to “support Macau’s economy in all aspects”. Wynn Resorts, Limited (NASDAQ:WYNN) is up 17.5%, Las Vegas Sands Corp. (NYSE:LVS) is up 8.3%, and MGM Resorts International (NYSE:MGM) is up 4.3% in afternoon trade. Let’s take a closer look at the upside catalyst and see if the smart money agrees with the market. In the eyes of most traders, hedge funds are assumed to be underperforming, old investment tools of the past. While there are more than 8,000 funds in operation at present, Hedge fund experts at Insider Monkey look at the aristocrats of this group, around 700 funds. Contrary to popular belief Insider Monkey’s research revealed that hedge funds lagged the market in recent years because of their short positions as well as the huge fees that they charge, while they managed to outperform the market on the long side of their portfolios. In fact, the 15 most popular small-cap stocks among hedge funds have returned 118% since the end of August 2012 and beat the S&P 500 Index by some 60 percentage points (see more details here). Fewer Chinese are frequenting Macau because China’s central government is cracking down on corruption. Macau September revenues declined by 33% year-over-year to $3 billion, while VIP table revenues are down substantially as junket operators struggle with heists and weak sales. Because they each have considerable Macau exposure, shares of Las Vegas Sands Corp. (NYSE:LVS), Wynn Resorts, Limited (NASDAQ:WYNN), and MGM Resorts International (NYSE:MGM) are off considerably year to date. In addition to the corruption crackdown, casino investors are also concerned about China’s weakening economy and about potential oversupply in 2016. Investors bid up the three casino stocks on Friday, because more mainland Chinese will visit Macau if the central government supports Macau’s economy in all aspects. If more Chinese visit, the city’s gaming revenues could through. 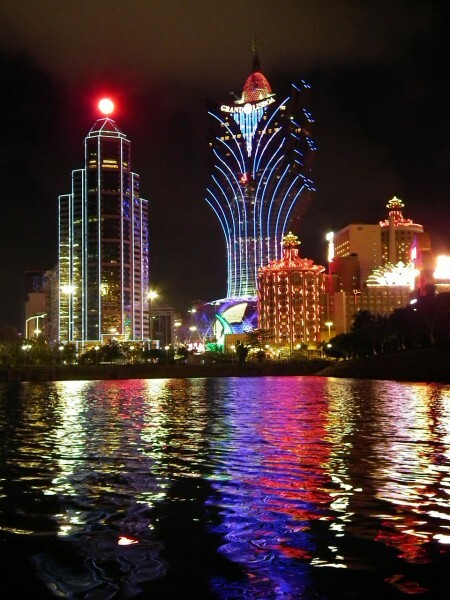 Revenue and EBITDA of Macau casinos could come in higher than expected. There have been some tentative green shoots amid the sea of negative data. September’s year over year decline of 33% was higher than August’s decline of 35.5%. The casino stocks themselves are not particularly expensive. Las Vegas Sands trades at a forward P/E of 14.2 and pays a dividend yield of 7%, while WYNN trades at a forward P/E of 11.8 and pays a dividend yield of 3.87%. MGM is the most expensive of the three, with a forward PE of 32 but it is also the best performing, with shares down only 12% year to date. According to our data, hedge funds are bullish on Wynn Resorts, Limited (NASDAQ:WYNN). Of the around 730 elite funds we track, 35 funds owned $1.24 billion of Wynn Resorts (representing 12.40% of the float) at the end of June, up from 25 funds holding stakes worth $936.81 million a quarter earlier. Mason Hawkins‘ Southeastern Asset Management owned 7.11 million shares at the end of the second quarter, up by 56% from the prior quarter.